From the legendary #1 New York Times bestselling author of Plum Island and Night Fall comes this “action-packed, relentlessly paced thriller” (Publishers Weekly, starred review) featuring US Army combat veteran Daniel “Mac” MacCormick, now a charter boat captain, who is about to set sail on his most dangerous cruise. Daniel “Mac” Graham MacCormick seems to have a pretty good life. At age thirty-five he’s living in Key West, owner of a forty-two-foot charter fishing boat The Maine. But after serving five years in the Army and purchasing a boat with a big bank loan, Mac’s finances are more than a little shaky. One day, Mac is sitting in the famous Green Parrot Bar, contemplating his life, and waiting for Carlos, a hotshot Miami lawyer heavily involved with anti-Castro groups. Carlos wants to hire Mac and The Maine for a ten-day fishing tournament to Cuba at the standard rate, but Mac suspects there is more to this and turns it down. 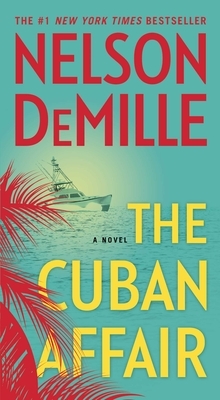 The price then goes up to two million dollars, and Mac agrees to hear the deal, and meet Carlos’s clients—a beautiful Cuban-American woman named Sara Ortega, and a mysterious older Cuban exile, Eduardo Valazquez.